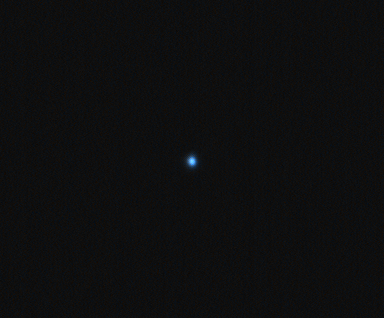 A night fueled by lots of caffeine and multiple telescopes resulted in lots of photos. 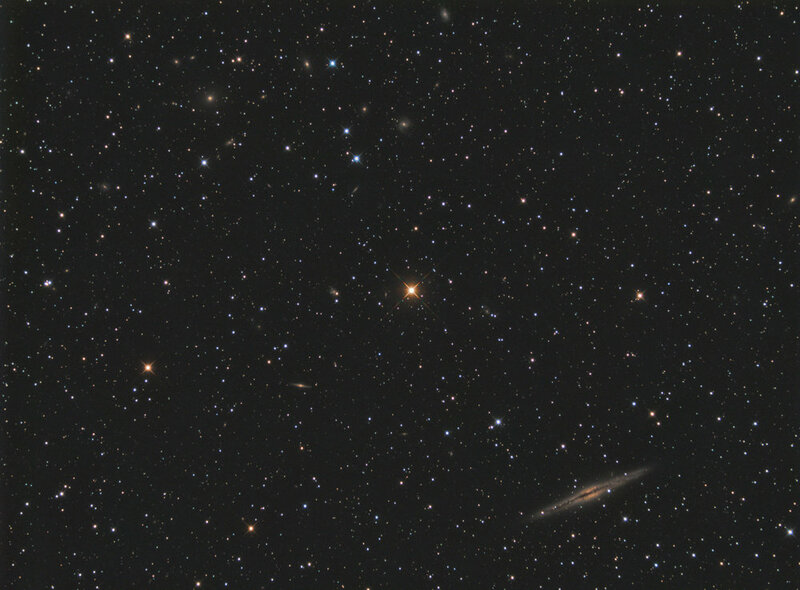 I decided to revisit IC 417 but this time with a wider field of view. 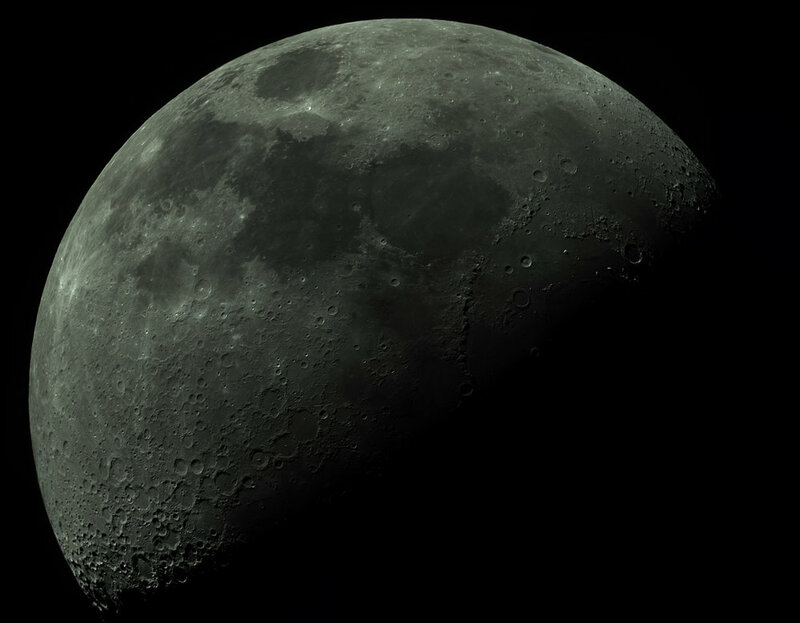 The image was previously taken with my AT6RC, and it focused primarily on IC 417. But this time I was able to frame it such that I also got the open cluster NGC 1907, as well as the smaller nebula below IC 417, NGC 1931. I’m really happy with how it turned out. 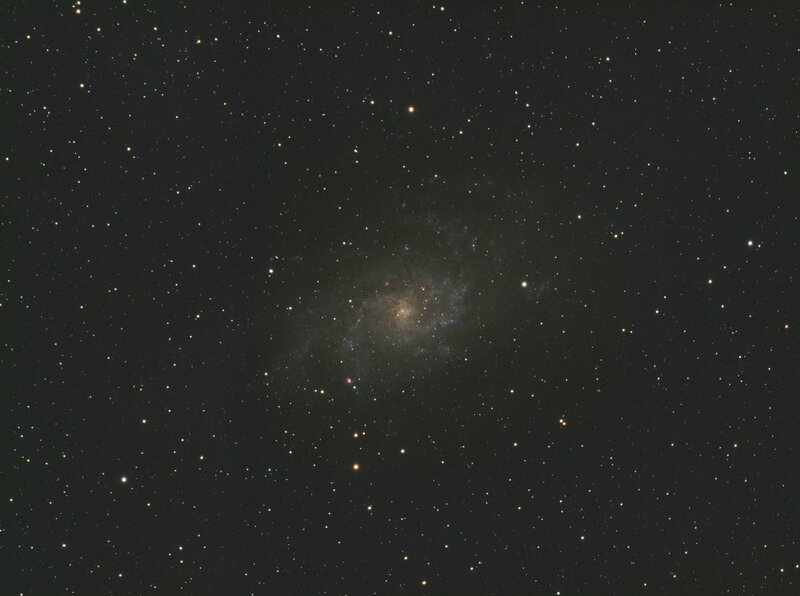 IC410 imaged on the Explore Scientific 102mm FCD100 APO refractor. Over the last two weeks, I’ve had 3 imaging nights. KStars & EKOS 3.0 were released which fixed a ton of long standing issues with the scheduler. In addition to that nice software update, I got a Celestron CGX for Christmas! 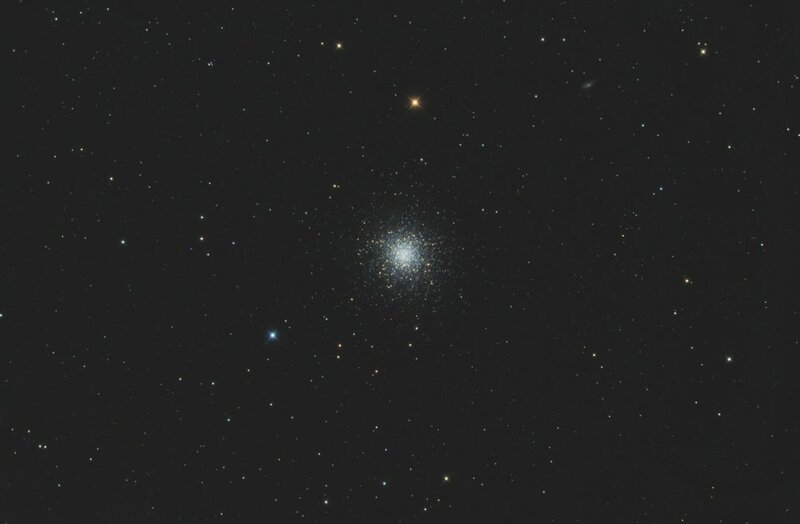 So, those two things combined and I set my sights on the only northern region available to me from the back yard and imaged IC417 on my AT6RC, and IC410 on my Explore Scientific 102mm FCD100 scope. Here’s a recent photo of the setup. So far it’s worked great. Average RMS has been between .6 and .8. My AVX was hovering between .8 and 2.0 RMS. I think I can get the CGX tuned a little more in guiding to get those numbers even lower, but have not attempted any adjustments. These are the numbers I’ve been getting without changing any of the default guide settings. 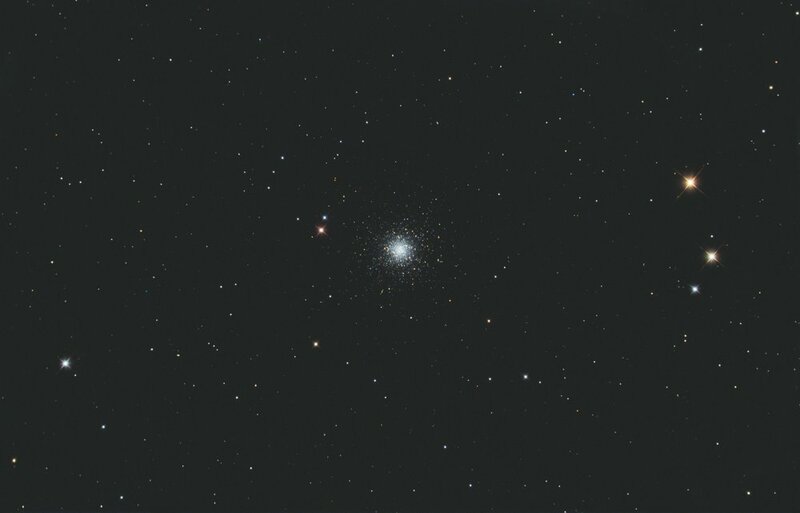 IC 417 imaged on the AT6RC from Astro-tech. 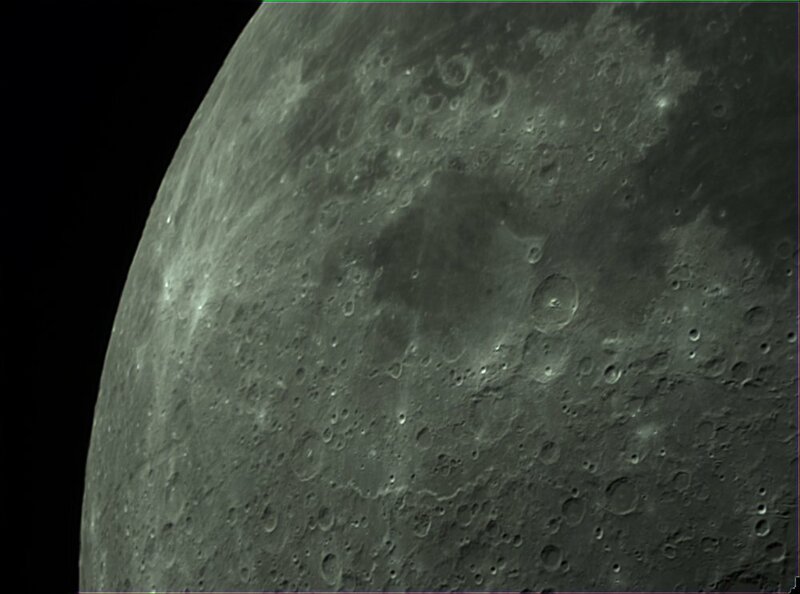 Yesterday, I had a few hours of clear sky, and got out my AVX along with my Celestron C5, and ZWO ASI224MC camera. I was determined to get a few shots of the moon. I initially tried a Powermate 2.5x, but the seeing just wasn’t there. I ended up shooting everything at prime focal length 1250mm. 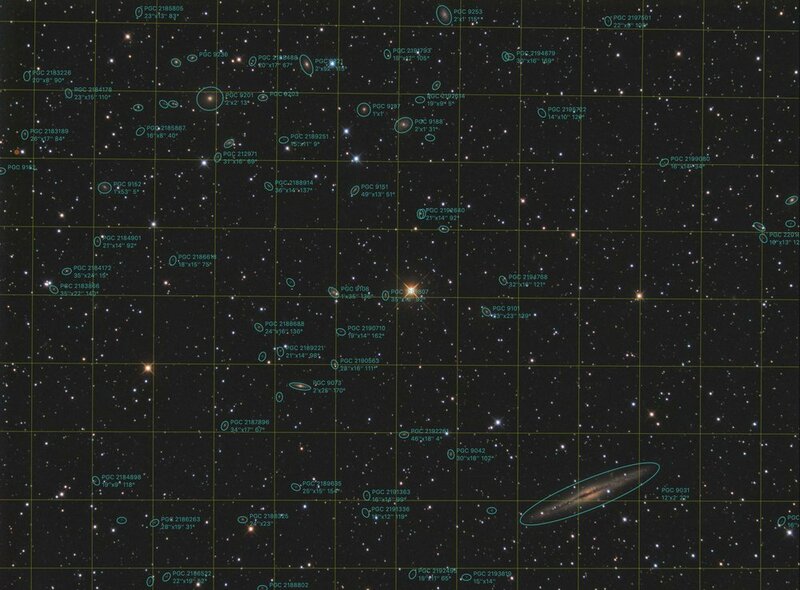 I used Planetary Imager on the Mac to capture everything, then merged them all together in Photoshop using it’s photo merge feature. Below you can see the individual frames that make up each part of the mosaic. Here’s my setup at 5:30 am this morning. Taking good flats is key. I had been using the dawn sky to shoot flats for some time. EKOS has a feature where it will shoot flats of any desired ADU value. I’ve found that a median ADU value of 22,000 is perfect for my setup. I found this value through trial and error, by taking flats ad different ADU values, then calibrating with them to see what the results were. Anything above 24,000 overcorrected, and anything less than 20,000 under corrected, so I’m right in the middle now. I recently discovered this really awesome and inexpensive light source for flats. It’s worked like a charm. First off, A3 is large enough to cover the front of most large scopes. It’s 11.69” x 16.53” and it’s a flat evenly lit LED panel with three built in brightness settings. It can be powered by the A/C plug it comes with, or through USB plugged into your laptop. In the photo above I have it plugged into the laptop, and am taking my flats through EKOS. This makes capturing flats quick and easy. Within EKOS, I build a camera sequence for all my filters, 50 images each, auto exposure set to ADU value 22,000. Then I run the sequence. Within seconds it measures the light from the frame, and knocks out 50, then switches filters, measures the light again, and bangs out another 50 frames. In about 2-5 minutes I can capture all my flats in one go. 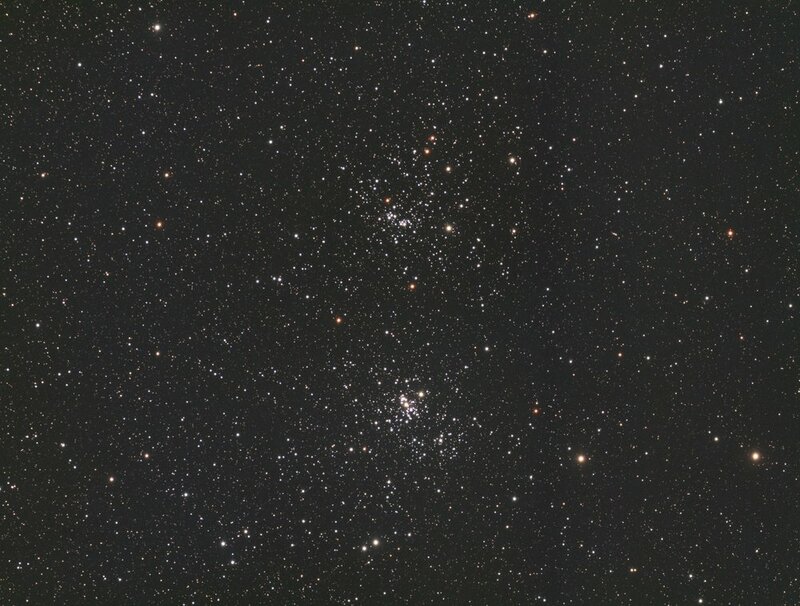 Below are the two sequences I captured for the evening (Double Cluster, and M33). While short at under 2 hours each, you can see that they are clean and well calibrated thanks to the easy flats system I’ve been using. While taking pictures of the moon last night, I noticed Uranus was in view, so I pointed the telescope at it and took around 300 images to combine and stack into this final image. 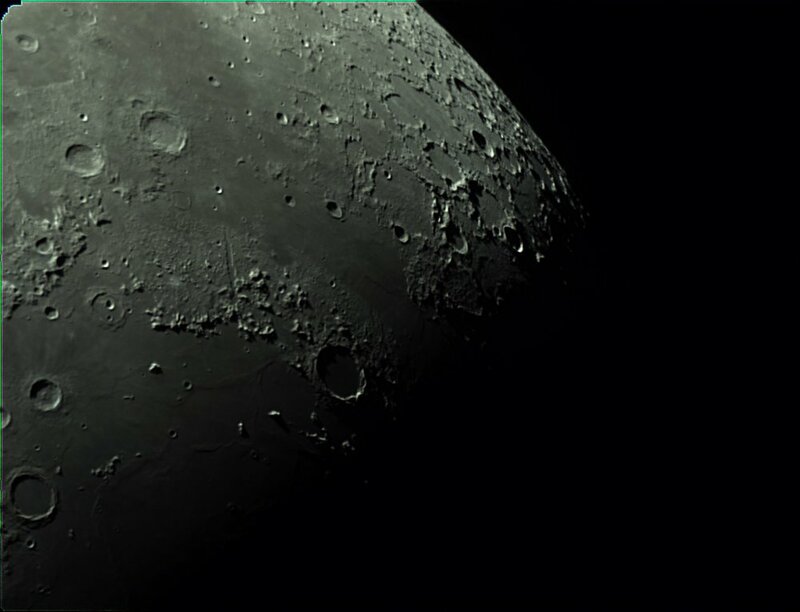 About a week ago, I made my first "real" attempt to image something in the night sky. I say first real attempt, because I believe I have the correct equipment and setup that I'm willing to work with. It's taken me a year to get comfortable imaging objects in the night sky, and almost all of it has been a learning experience. 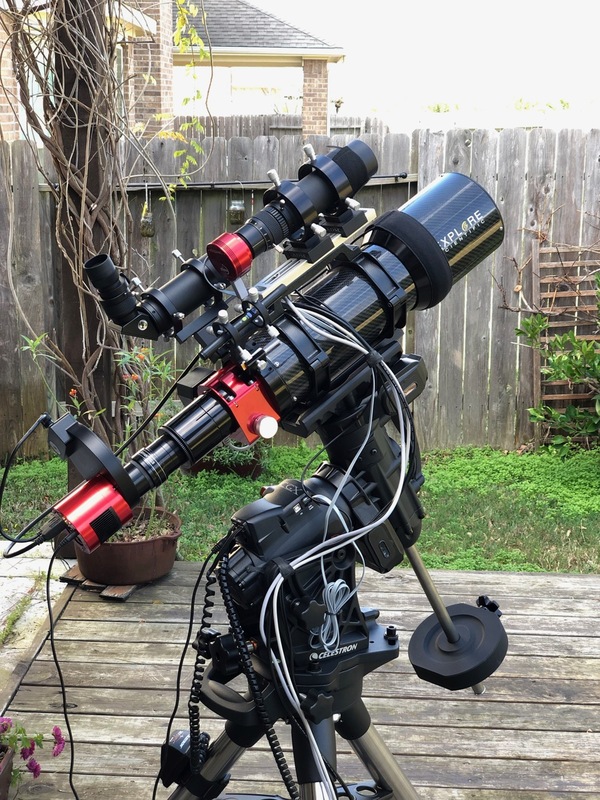 For the first time, I have a scope, mount, camera, filter, proper imaging train, and enough knowledge to know how long to expose the object, take proper lights, flats, and bias images to achieve a decent outcome. I think it's a great first attempt, and am happy with the results.